1. Lower costs - Blah - Blah - Blah. New Year’s resolutions come and go as soon as the ball drops at 11:59. How many times have you been determined to whatever on January 1st and by January 23rd your resolution has already been broken for a week? Here’s the good news - It doesn’t have to be that way for your 2019 business (or personal) goals. Only you know what you and your business need. Why would you follow a random “honey do” list from someone who doesn’t understand your needs? It’s always good to re-evaluate your strengths and weaknesses from time to time. As important as it is to set new goals (resolutions), it’s just as important set yourself up for success. Increase profits by analyzing employee productivity in the next 10 days and managing effective scheduling. In addition to completing a deep dive into labor, I will research alternative shipping methods and procedures by February 10th to reduce costs by 5%. Get Personal: When making resolutions for your business it’s important to remember that you are the business, in turn, the resolutions are about you. The more you can improve yourself, the more your business will benefit. What kind of resolutions will make you better for your business? Personalized resolution: "Learn how to optimize my website with better SEO by reading Search Engine Optimization for Dummies by the end of January and enrolling in an online course. In addition to learning and applying my new knowledge, I will utilize Google analytics to track the results. I will continue to monitor and make modifications quarterly." When you give your resolutions actionable steps that have specific details and timelines there is a greater likelihood you will accomplish them. By creating resolutions that include a numerical goal, it makes it easier to follow with specific tasks to achieve it. You’ve personalized your resolutions and made your goals more specific. Ask yourself these 5 questions and the answers will stick with you throughout your accomplishments. Thinking through these answers will build a bond between you and your resolutions. It’s your business and you know what your resolutions should be. 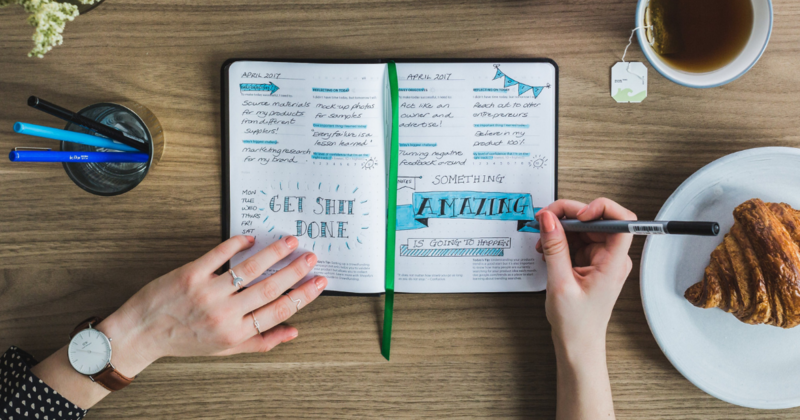 Regardless of how you choose to improve yourself and your business, no matter how small or grandiose, follow these guidelines and you’ll be on the path to accomplishing your 2019 business resolutions.